Modern lifestyles are tailored for speed and convenience. We build sprawling highways to get us from A to B as quickly and as efficiently as possible; we live in high-rise buildings in crowded neighbourhoods because it’s closer to work; we run on treadmills in air-conditioned rooms under fluorescent lighting because we have to find some training time in our hectic schedules. It’s exhausting. This is why we crave destinations where the push and pull of the daily commute and the noise of the ever-humming city gives way to wide open spaces where we can experience true communion with nature. When you’re caught up in the daily grind, it’s easy to lose sight of how intrinsic a need this is – the need to spend time in an unfettered environment where you can lose yourself in the tranquillity of uninterrupted natural beauty. 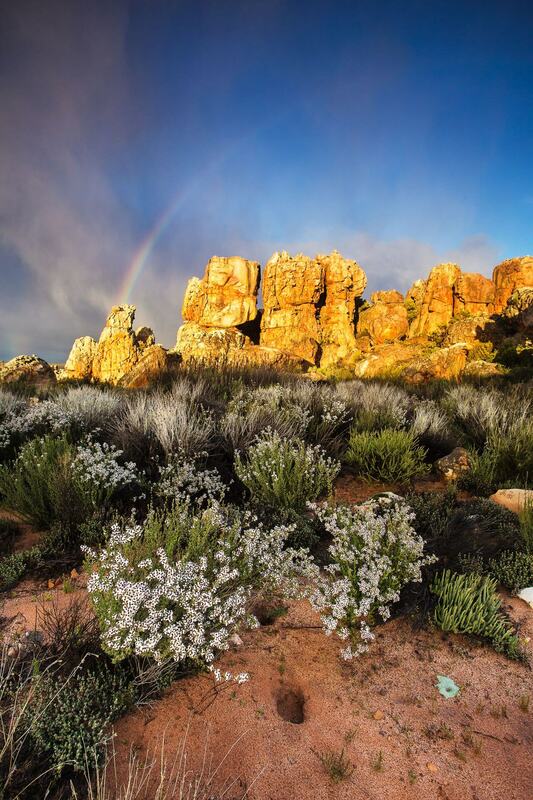 At Kagga Kamma, our aim is to provide visitors with the opportunity to indulge in this increasingly rare experience. Out here, the air is clean and crisp, the only humming noises are those of bees pollinating the indigenous fynbos, the only high-rises are the awe-inspiring rock formations that dot the landscape. We didn’t have a hand in creating this wonderous place, but we do our utmost to preserve its pristine ambience, so others can also enjoy the restorative properties of time in these spellbinding surroundings. 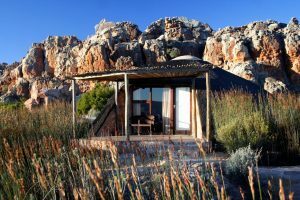 Out here, you can go for a run along a quiet dirt road, hike among the rock formations, do your early-morning yoga on the veranda of your Hut Suite overlooking the gently undulating, reed-strewn landscape or do a few laps in the pool. Whether you’re stepping over rocks and stones along a pathway, or balancing in a plank position as you breathe in the fresh air at dawn, learning to adapt your body to the elements helps you to become more in touch with your strengths and weaknesses. Take a cue from the natural elements. Move or be still according to the pace of life around you. Slow yourself down in the calm evening as the world hushes and pauses to watch the sunset. Let the bright, energetic morning hours invigorate you and motivate you to get your heart pumping. 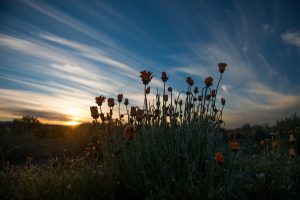 Adjusting to the forces of nature – like weather, time of day, and seasonal changes – teaches you to become more flexible, patient, and accepting of circumstances outside of your control. 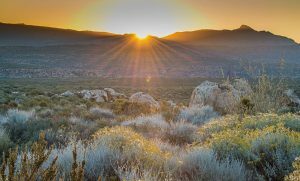 We invite you to come and experience true communion with nature at Kagga Kamma. It is a wonderous encounter that can only be fully understood once you’ve seen, heard, smelled and felt it for yourself.